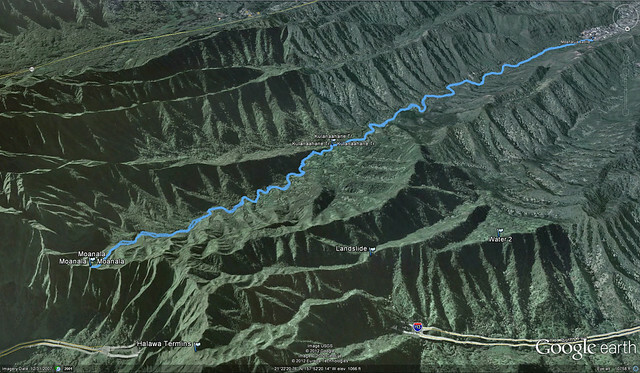 The Saturday before Sommer's birthday she told me she wanted to go hiking! 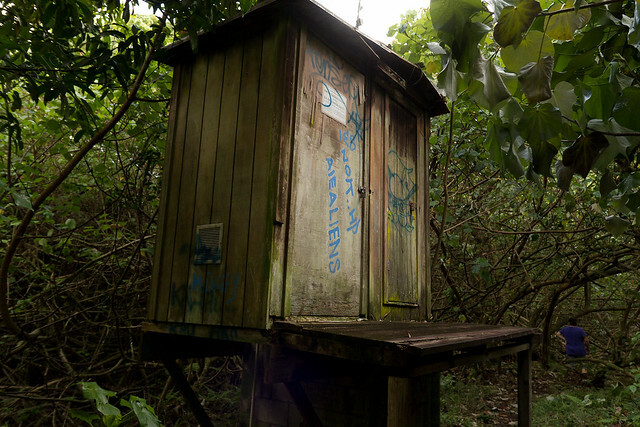 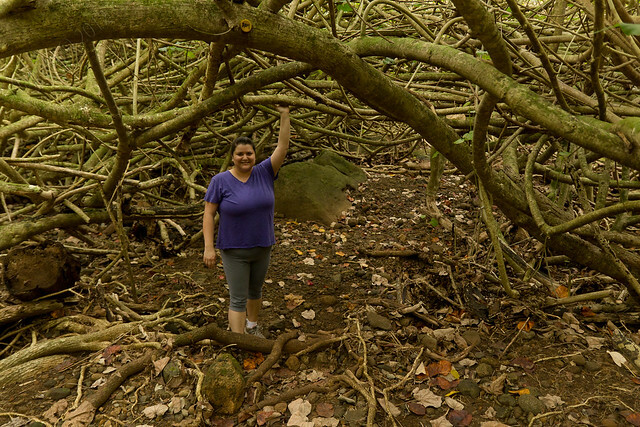 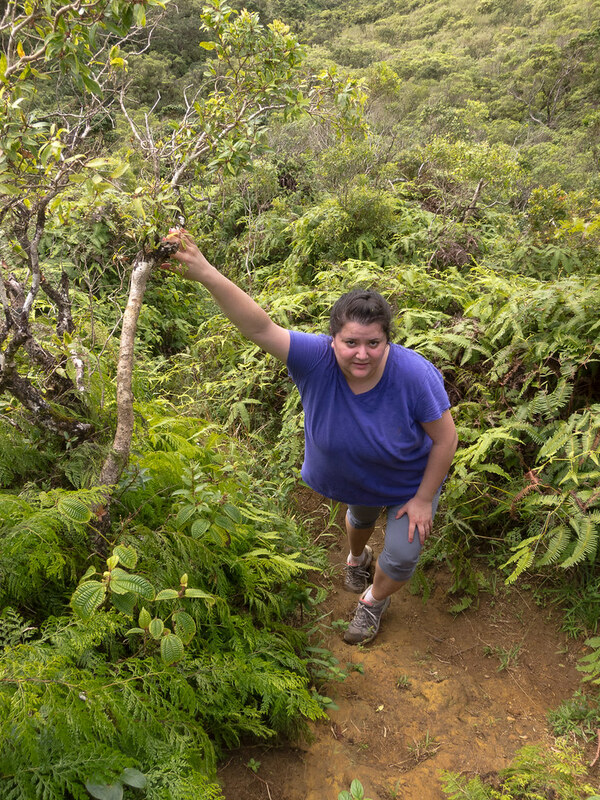 Not wanting to waste an opportunity to hike with my usually reluctant wife, we headed up Moanalua Valley along Kamananui Valley Road and then off on the Kulana`ahane trail. 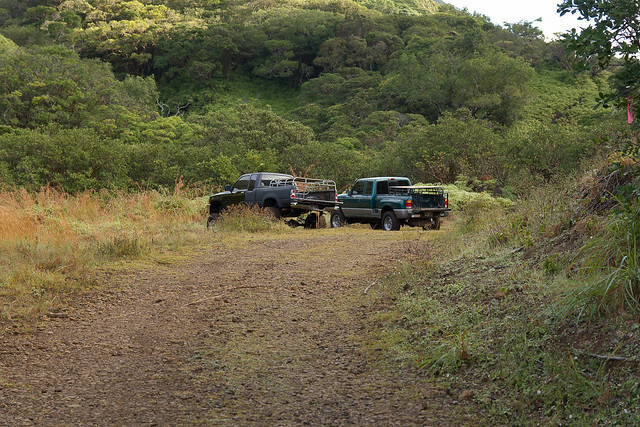 Along the 2.5 mile road to the trail head we ran into some hunters. 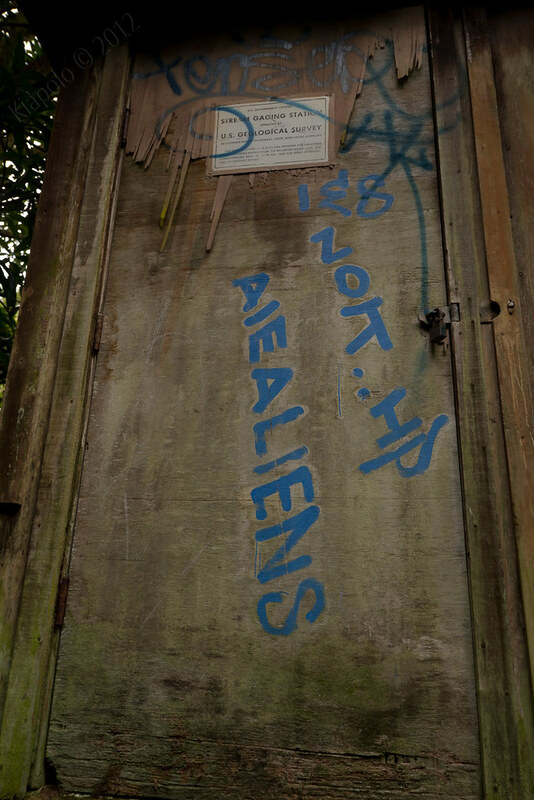 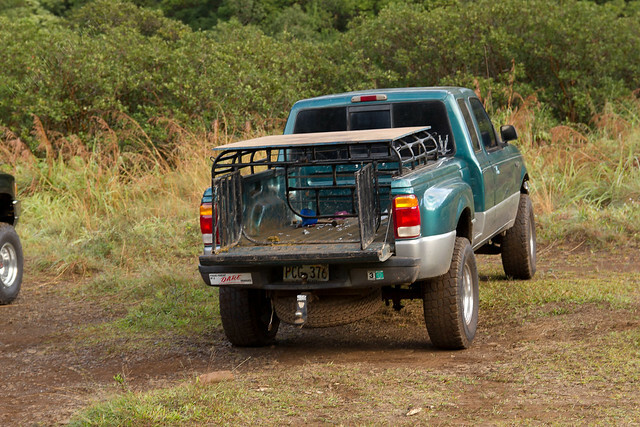 Their stinky dogs followed us all nearly the entire top half of Kamananui Road. 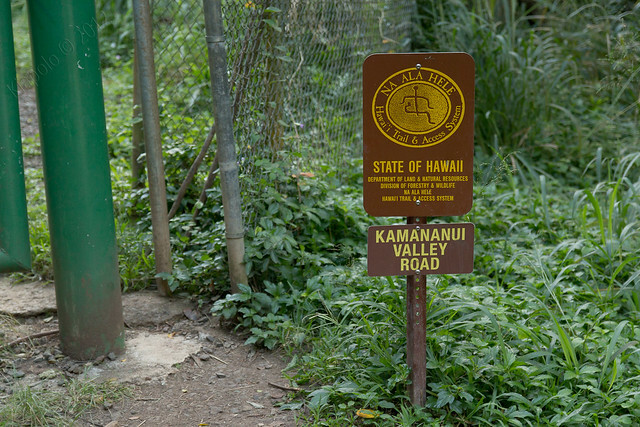 Kamananui is a long and relatively boring road that winds its way up Moanalua Valley. 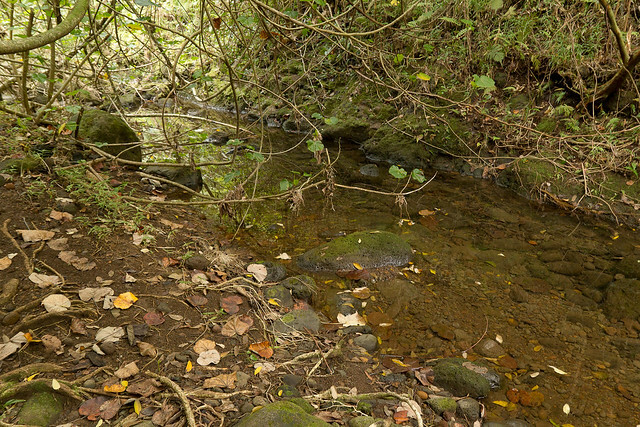 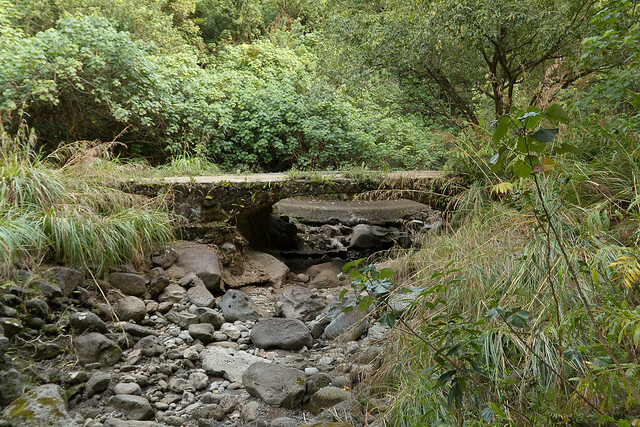 The road crosses Moanalua stream a few times, but is relatively un-scenic. 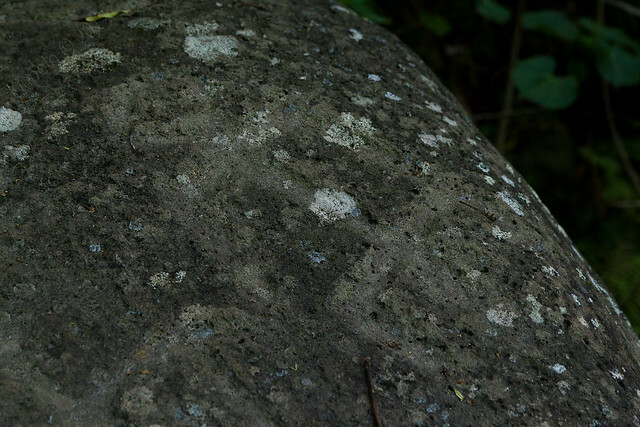 The one highlight of Kamananui is Pohaku Ka Luahine at the petroglyph rock about a mile into the valley. 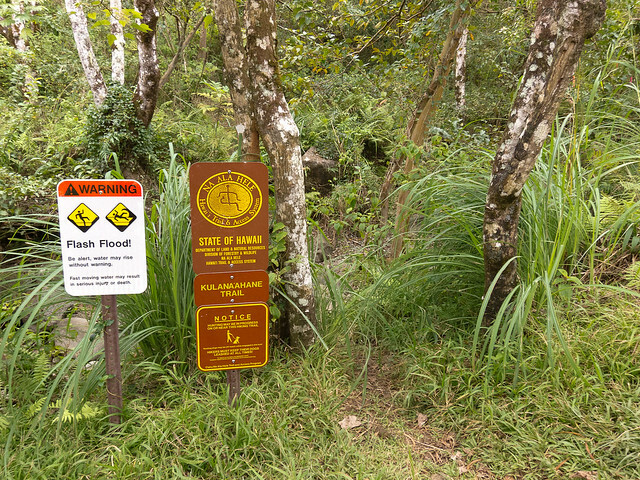 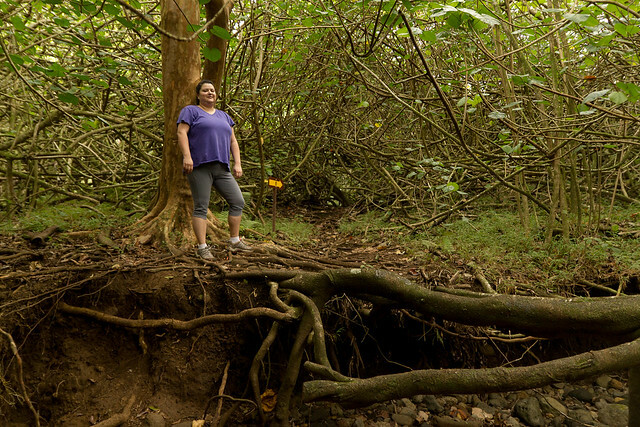 At the start of the Kulana`ahane trail you cross the usually dry Moanalua stream bed and make you way gently up the north end of the valley. 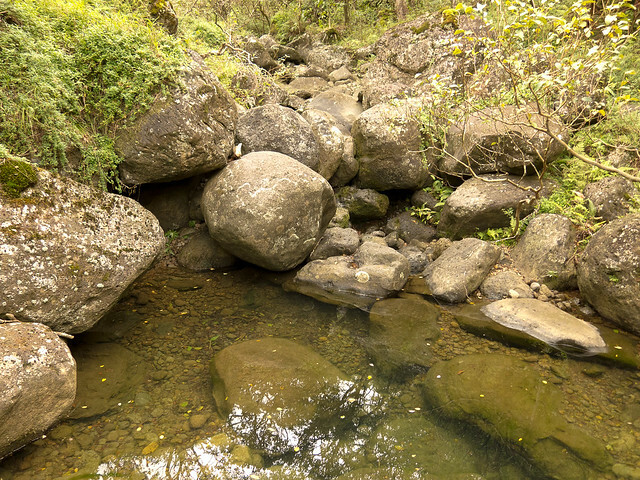 The trail winds its way through some idyllic scenes of stream crossings, natural pools and under the cover of thick and short hau canopies, so thick it nearly chokes out any sunlight. 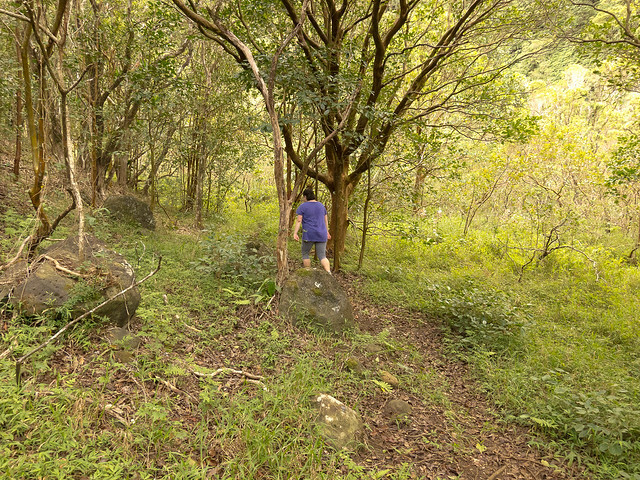 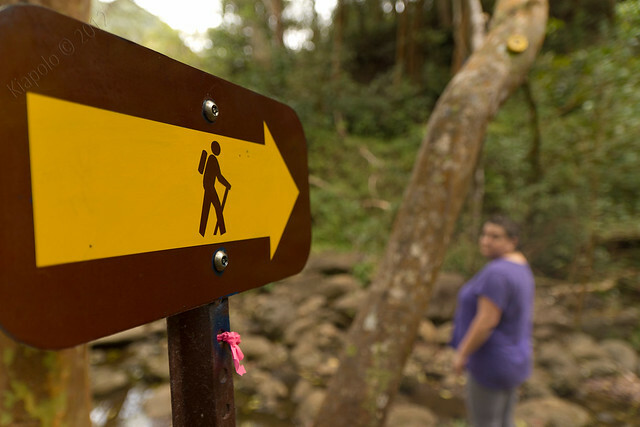 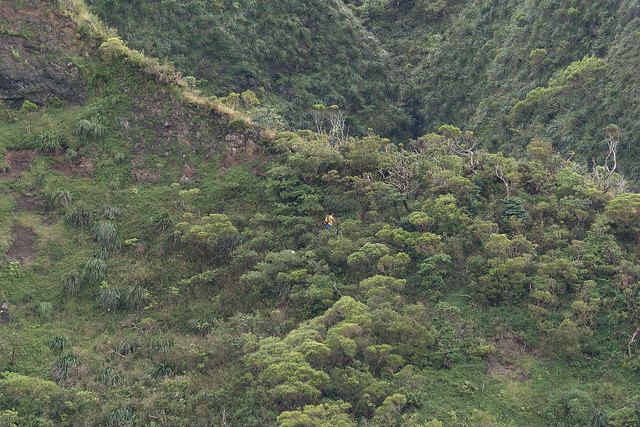 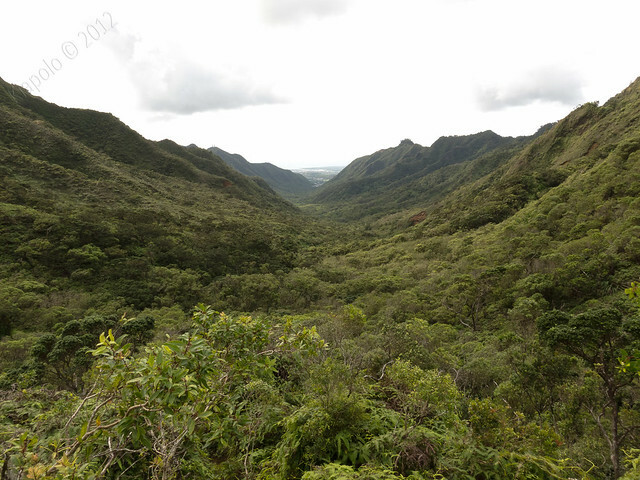 The last part of the trail is a short scramble up to a saddle at the Ko`olau ridge between Moanalua and Haiku valleys. 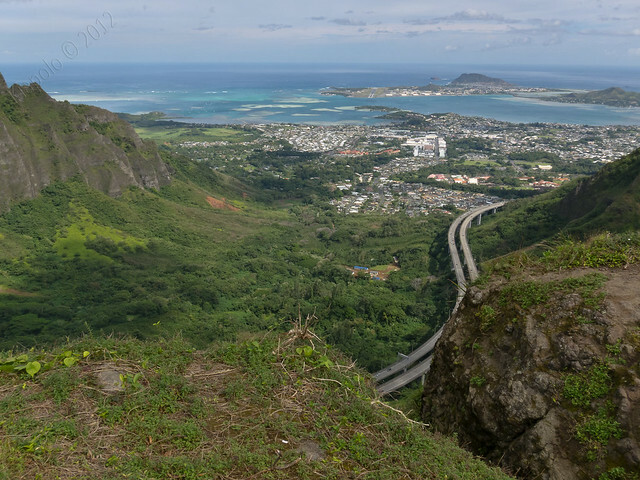 The view from the summit is amazing of course and offers the full expanse of Haiku Valley at one end and Moanalua Valley on the other. 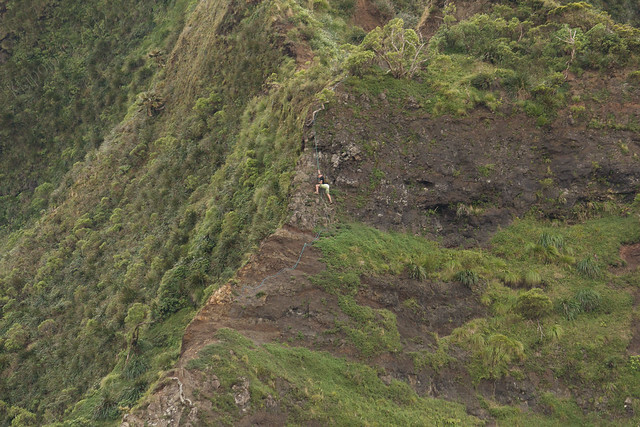 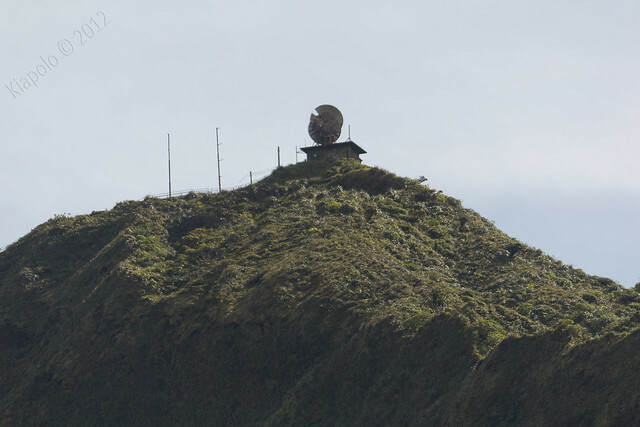 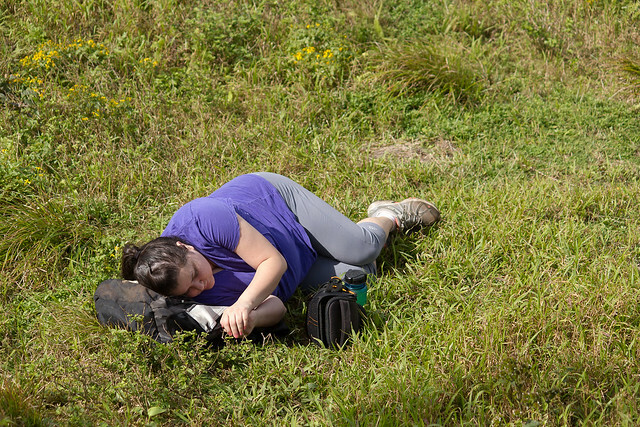 At the summit, Sommer took a little nap while I followed a trio of climbers attempting to make the scramble from the top of Kulana`ahane up to the terminus of Haiku Stairs. 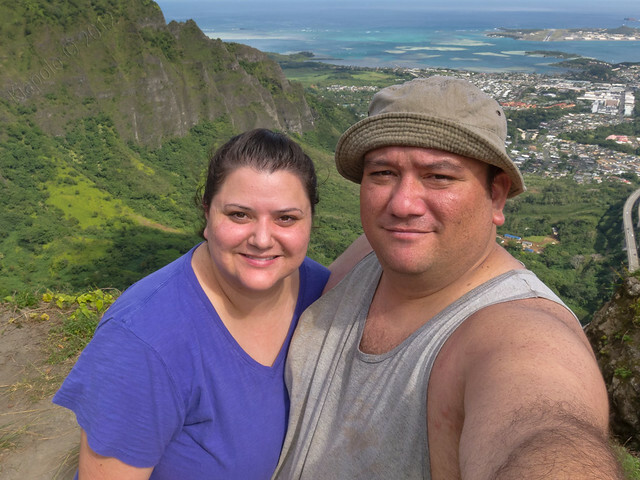 After enjoying the beauty of the Ko`olau summit, Sommer and I started our way back down to reality. 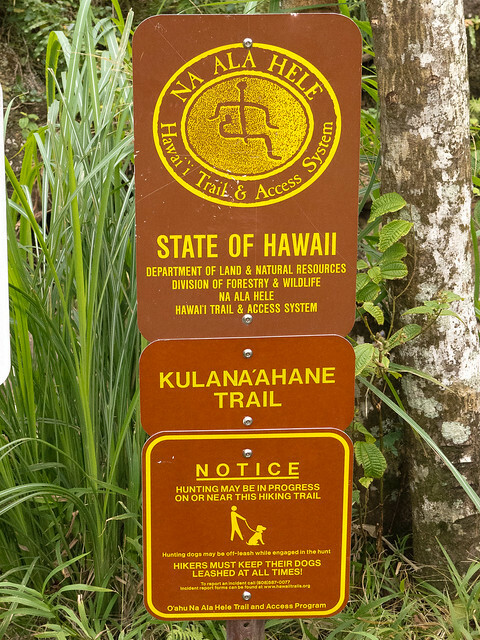 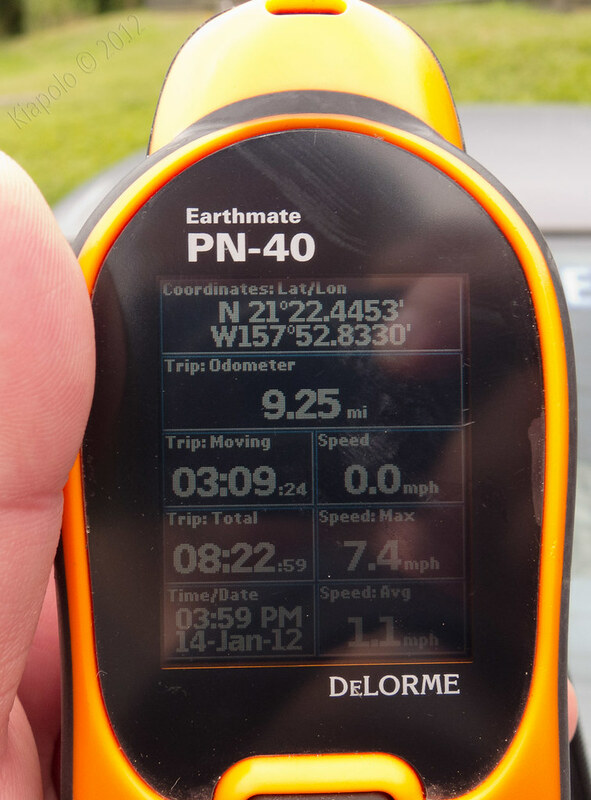 Another thanks to my wife for accompanying me for all 9 miles of the Kulana`ahane trail! 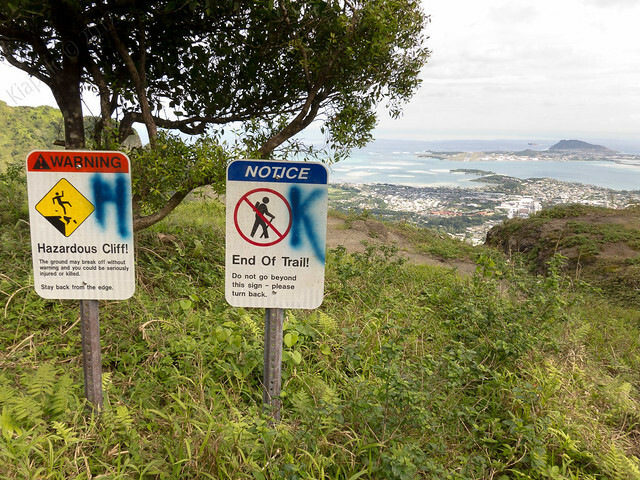 I really enjoyed that trail. 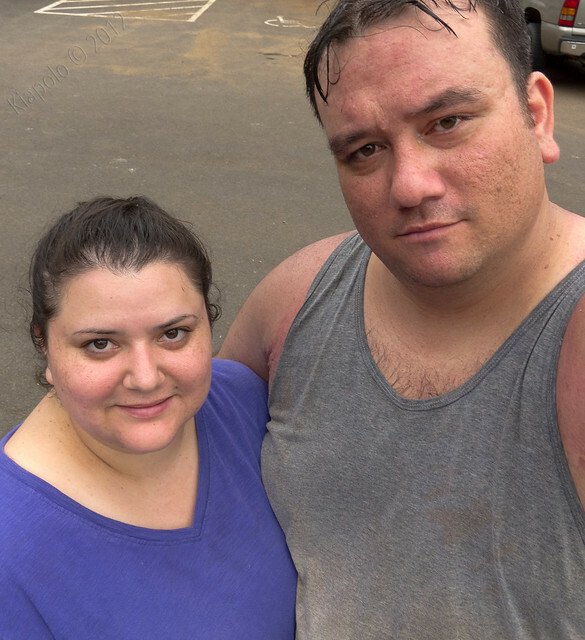 Despite the endless road walk there were some really great things along the way like the bridges, petroglyphs, and of course the view at the end. 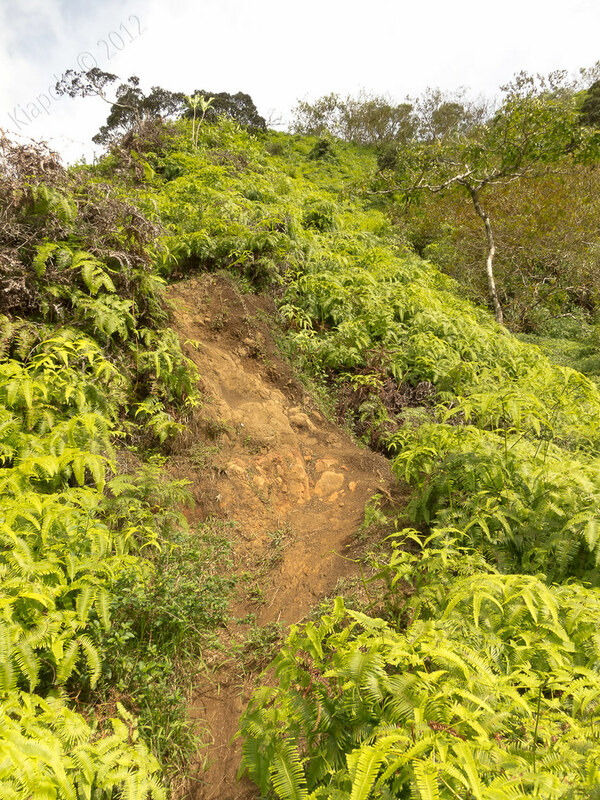 Your pictures are fantastic too. 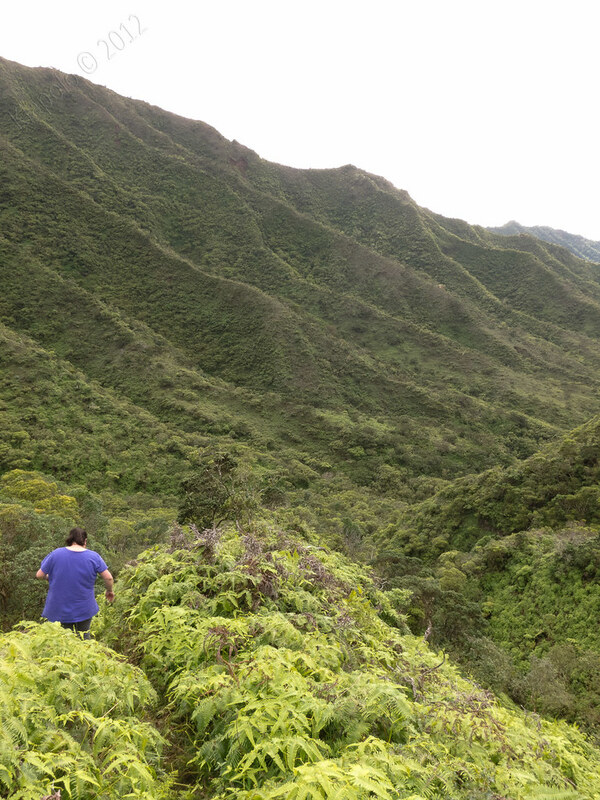 I think I've done Kamananui too many times! 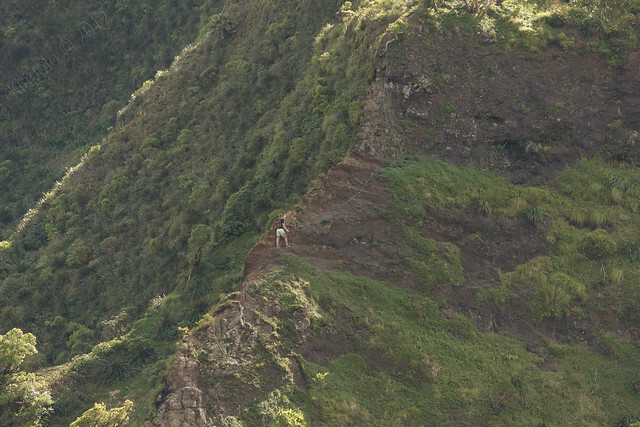 I really like all the trails that it leads to, though.